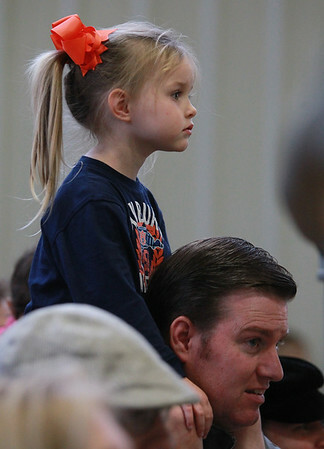 Three-year-old Addison Craft, of Worcester, has a clear line of sight to the Figure 8 Races while sitting on top of her father, Robin's shoulders on Monday afternoon. DAVID LE/Staff photo. 10/13/14.